WAPIC CUTEST KID PHOTO CONTEST. TAKE PICTURE/VIDEO OF YOUR KID, POST AND WIN. 3. 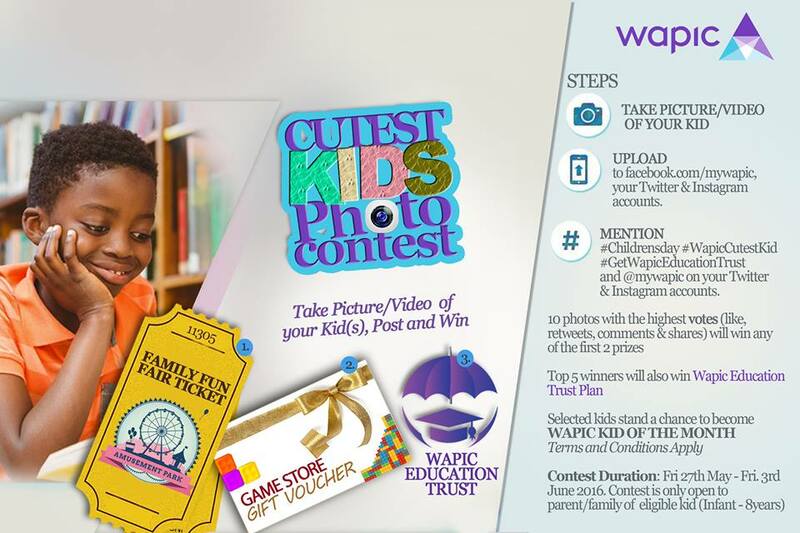 MENTION #Childrensday #WapicCutestKid #GetWapicEducationTrust and @mywapic on your Twitter & Instagram accounts. -10 photos with the highest votes (likes, retweets, comments & shares) will win any of the first 2 prizes. -Top 5 winners will also win Wapic EducationTrust Plan. 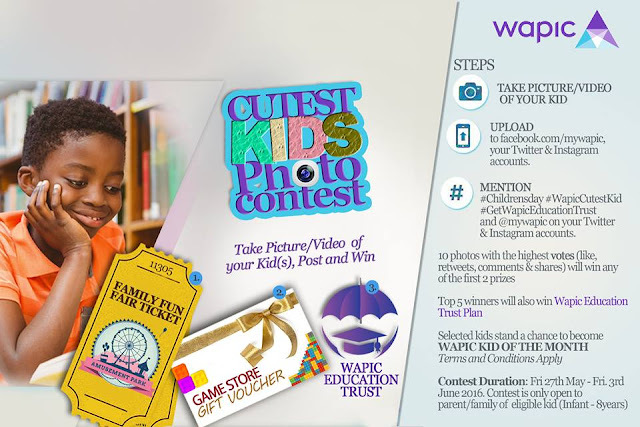 -Selected kids stand a chance to become WAPIC KID OF THE MONTH. Contest Duration is from Friday 27th May to Friday 3rd June 2016.